You are singing to the choir on this one, my blog friend! DUh, my kids don't decorate my tree either! I love decorating the Christmas trees! 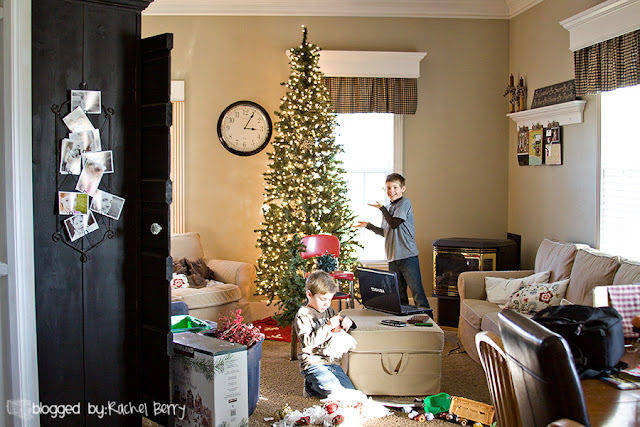 It is the one holiday project each year where I can choose to go all out, being as busy, fussy, and over-done as I like without the fear of not gaining approval from any one else. I wish I could be that brave and confident with all of my projects! Hooray for you! And just know...you are not alone! Just stumbled onto your blog and yes there are many of us [ocd tree dressers]. From day one I have always decorated our Christmas tree. My kids, all four of them, have never shown the slightest interest in this project, which makes [me very happy] life easier! I also have two trees, and theme them to what ever takes my fancy at the time. Good for you....keep up the good work....Love your tree. Glad to see I am not the only one. Seems to be more than I thought. I am constantly looking and changing things until it is perfect. I am in your corner. I am so OCD that I started redecorating the tree when I was 17 and my family went to bed. My mom wandered down and caught me and I still get a hard time about it whenever anyone in my family puts up their tree, they say "remember that time when..." Well, now I have just learned to embrace the fact that I am. But nothing is as magical to me as a lit, well decorated christmas tree. Let the holidays begin! oh, you are not the only one! I started decorating the tree when I was about 8 years old. Each year you could tell how much I'd grown by how high up on the tree the ornaments went. Occasionally I'd allow my mother to put a few up near the top. That lovely little Christmas carols, hot cocoa thing, yea. Tried that once. I redecorated the tree. And you know what, my kids hated decorating the tree. They kept saying, "Mom, you just do it, okay?" and "Can't we go watch TV now?" My kids had little trees in their rooms when they were small, too. They didn't want to decorate those, either. In fact, my daughter has now been married for 8 years, and they have never, ever had a Christmas tree at all. We lived in Japan for several years, and I had some nice ladies I was friends with. At Christmas one year they brought in fancy cameras to take pictures. They said is was the "Number 1 best tree". They must have taken 100 pictures from every angle conceivable! My Name is Staci, and I suffer from Christmas Tree OCD. As much as I would LOVE to have one of those magazine perfect trees, I just can't do it. I let my kids completely decorate our tree with only one simple rule - the glass ornaments go on top, plastic on bottom (because of little ones and kitty cats). I'll spend my OCD time reorganizing their closets. I've always loved your trees!!! I'm with you on this one. Once my husband and I are done with school, we are going to start buying two trees each year...one for the kids and one for my sick obsession. I'm with you. Don't touch MY tree! My mom used to put ours up when we were at school and pretend it was supposed to be a surprise. Yeah, whatever. Now I get it. Guess who's carrying on THAT tradition? YOu are by far not alone on this one. You should put up a mcklinky thing so we can all share our trees with each other. I'm in the minority here. I've collected Hallmark ornaments for years. The kids each put on their own special ornaments and we take turns after that picking out ornaments to put on. I admit once in awhile I may move an ornament but not too often. My best holiday memories are often associated with decorating the tree! Oh no - you are not alone! I finally have my own tree which is called "mommy's tree" - not the nice tree, the fancy tree, but MINE! 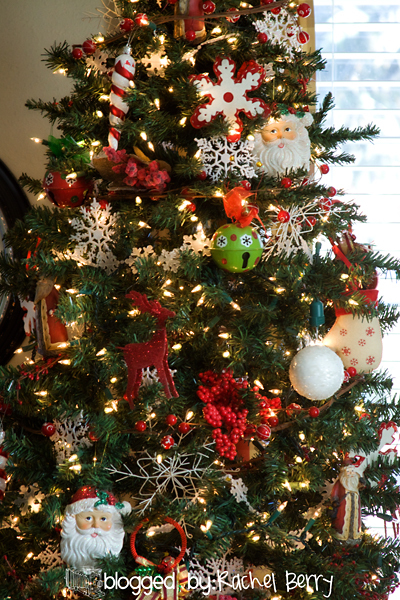 You are not alone with the Christmas tree ocd. When I had a store, I had something like SIXTY trees :/ I didn't sleep for a month and my customers could tell I was BATTY! ;) lol. Hope you enjoyed your Harry Potter date (we did the same thing! Dinner and a movie. I drank beer and said it was butterbeer and the waitress looked at me crosseyed!) Yay for this time of year and obsessions! Ijust did my tree and let the kids help but rearranged now that they have gone to bed. I have the same OCD but its not just the tree it the whole house when it comes to christmas! Merry Merry! and you are not alone. You are totally not alone. Thanks for admitting it publicly..it makes me feel better! Yes, I think I know that feeling. I have some similar compulsions around my Christmas trees and the decorations. Not that they have to be perfect, but I just want them the way that I want them. Yours is going to look splendid! Oh Rachel Rachel Rachel.... all those Holiday OCDers out there...I always let my kids decorate the tree...Its a family tradition...and then my tradition after they all go to bed....yep rearange the tree...I have it too. I think my kids like to wake up the next day and try to find where I rearanged all their ornaments to. Last year my 16 year old son caught on to me and every day till Christmas he rearanged a few ornaments just to make me crazy. I knew it was him because his picture ornament was always top and centered by the star when he was finished...the little stink!